Johanna also dances in Margrét Sara Gudjónsdóttirs new work Conspiracy Ceremony - Hypersonic States. Johanna will as well be a part of M.S.Gudjónsdóttirs upcoming work Pervasive Magnetic Stimuli, premiering in November 2018. Please send an e-mail to mail@ashtangayogao.com in case of questions to where and when Johanna is teaching. Shapes of Noise and Silence is a solo dance piece by dancer and choreographer Johanna Chemnitz in artistic collaboration with fashion designer Judith Klingenfeld and the musician Olivier Meyer. Images and situations that inhere an intensive sensation of noise and silence form the base of this work, while their sensorial and associative resonance is in the main focus. The work has first been presented at Aabendsans Roskilde (DK) in 2017. Many thanks to Ann-Charlotte Monrad and Ole Bertram / Prana Yoga Shala, the Projektcentret of Dansehallerne Copenhagen and Annika Nilsson. Dishevelled is a collaborative work by and with Johanna Chemnitz, Sonja Pregrad and the Musician Neven Krajačić. In this dance piece we test identity, reality and dissolution. We explore the spaces of blur and acuity. We create a world that moves and we dedicate ourselves to the logic of instability. We create a world beyond logic and we dedicate ourselves to the inconceivable. Dishevelled was premiered at the Platform "young choreographers" in Zagreb (HR) in 2009 and opened the Tanztage Berlin Festival 2010 at Sophiensaele. by Annika Nilsson, Anne Sophie Malmberg and Johanna Chemnitz. The three short films Stolzenhagen Princes are a part of Nilsson, Malmberg and Chemnitz´s series of works researching the staged body undergoing fabulous transformations within landscape and cities. They were created during the Artist Exchange at Ponderosa in 2008 and 2009 and were presented there as well as at the Potsdamer Tanztage, Internationales Festival für Tanz und Performance in 2010. We gratefully thank all the participants and Ponderosa for their great support. The work scrawling was specifically created for the Festival International de Danse Contemporaine de Marrakech, On Marche in 2009 and was premiered at the Théatre Royal de Marrakech. This solo is inspired by the texts of Terezia Mora and Meret Oppenheim and their enormous poetry; their worlds of reality, fantasy and myth, and their strength in triggering imagination. Johanna Chemnitz is creating moving pictures by stealing words, grasping images, tearing them apart and putting them together again differently. With her body and her voice, she lets the images transform and find their way into a new narrative. The piece Tief.Schwarz. is an exploration of the unfamiliar worlds. Tief.Schwarz. was premiered in 2008 at the 103 studio Berlin and was performed in 2009 at the Dock 11 Berlin Theater. The dance piece Festland by Johanna Chemnitz and Palina Krause shows two people trying to understand the wild chaos of our world in order to be able to endure it. By doing so, the figures create an enclosed, small universe where every single attempt to escape fails. What remains is a universe full of exclusion and shared loneliness, brightened up only by the fine humour of the play and the rituals of everyday life. Festland was first performed in 2007 at the Brotfabrik Berlin. In 2008 it won the critics choice award at the 100° Festival at the Sophiensaele Berlin and opened the Festival Theaterland Steiermark (AT). In her workshops and classes, Johanna puts emphasis on supporting the students' courage and trust. She addresses sensuality and curiosity in body and mind as a base of a development towards artistic maturity, high technical skills are a mere side effect of the work. She works with methods that allow the students to grow from where they stand as individuals and within a group; Methods that support them to fully incorporate their strengths and weaknesses, help them to get in touch with their individual potentials and unfold creativity. The students are encouraged to explore - in depth, with respect and dedication - the different layers we can approach as dancers and performers (form, emotion, imagination, etc. ), and to reach out for the emergence of poetry in movement and performance – in it´s unique and various manifestations. The format of the classes, training and workshops depend on the topic, group and setting. 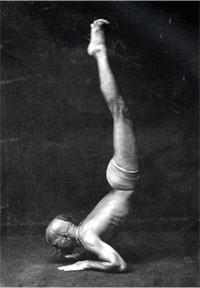 Ashtanga Yoga, as we practice it today, goes back to the teachings of Sri K Pattabhi Jois (1915-2009). It bears a strong relation to the teachings of his teacher Sri Trimulai Krishnamacharya, and therewith to a far-reaching lineage of important Yoga teachers and Rishis. Pattabhi Jois’ family is continuing the lineage of this specific Hatha Yoga form: his daughter Saraswati, his son Manju and his grandson Sharath Jois. The term Ashtanga is Sanskrit: Ashta means eight and Anga means limbs. Practising Ashtanga means practising the Eight Limbs path. Patanjali has defined this in an ancient text called the Yoga Sutras. Ashtanga Yoga is an energetic practice, a dynamic meditation. It is a powerful system that, when practised on a regular basis, leads to more flexibility, strength and health in miscellaneous aspects of our lives. The sequences of postures (called Asanas in the Sanskrit language) of this Yoga form are composed in order to align the muscular and skeletal system, purify the nervous system and detoxify the body so that Prana (energy) can move freely within it. The different sequences are: The Primary Series – Yoga Chikitsa (Yoga therapy), the Intermediate Series – Nadi Shodana (cleansing of the energy channels within the body) and the different Advanced Series – Sthira Bhaga (strength and grace). Ashtanga Yoga uses a unique method known as Vinyasa – the connecting between breath and movement. The Vinyasa determines the way the different postures are dynamically linked together. The practice fully unfolds its power when it is combined with the breathing techniques and the energetic muscular "locks" called Bandhas. To calm the mind and to deepen the practice even further, the eyes focus on specific points depending on the Asana. Traditionally, Ashtanga Yoga is taught in Mysore-Style and led classes. 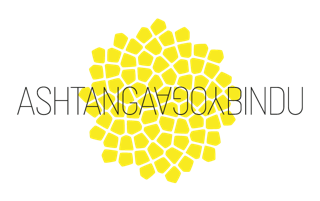 In this teaching system each student is individually taught the series of Ashtanga Yoga step by step, but within a group class setting. This enables the teacher to guide each student safely through the practice and to be responsive to everyone’s individual issues and learning pace. Information and corrections that support the practitioner and ensure safe practice are communicated verbally and through hands-on adjustments. In the led class, the group is being instructed by the teacher to move together through the series following the original rhythm of the Sanskrit counting. A full practice of the Primary Series takes about 1,5 hours. This class is suitable for students practising in Mysore Style on a regular basis. It can also make sense for a group of beginners to be led through the standing and some of the sitting postures as well as the finishing Asanas in order to become familiar with the format and from there enter self-practice. The private classes are available by appointment. They are another opportuity to build up selfpractice or to deepen your Ashtanga Practice further. For more information and costs please feel free to contact me via e-mail. Johanna is authorized by Manju Pattabhi Jois to teach traditional Ashtanga Yoga, Nadi Shodana Pranayama and Vedic Chanting. She began studying Ashtanga Yoga with her dear friend and teacher Andrea Lutz in 2005 and has been practicing this method intensively on a daily base ever since. Over many years, Andrea has been teaching her how to teach the Ashtanga System and Johanna has been supporting her in building up the Ashtanga Studio Berlin. Johanna has been guiding Mysore and Led classes in the Ashtanga Studio on a regular basis and also as a freelance teacher in other places since 2007. She has regularly attended workshops and Ashtanga Yoga Teachers Trainings for the Primary and Intermediate Series with Manju Jois and Nancy Gilgoff in Berlin (GER) and has assisted them there in classes and workshops. From 2010 on she also has been practicing with Susanna Finocchi in Copenhagen (DK) and has been part of the teachers team of Astanga Yoga Copenhagen. 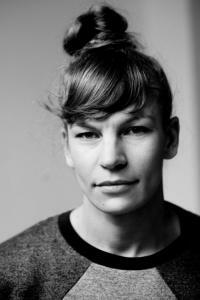 Currently she is teaching Ashtanga mainly at Prana Yoga Shala in Copenhagen and continues to teach for Andrea in Berlin. Johanna seeks to pass on the practice in the way she herself has been experiencing it with her teachers: in a deeply constructive way. Johanna was born 1981 in Hanover (GER) and studied Modern and Contemporary Dance at the Hogeschool voor de Kunsten, Danceacademy Arnhem (NL) from 2000-2004. 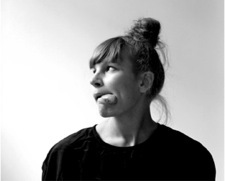 She has been based in Berlin since 2004 and has worked with Jens van Daele; Eszter Gàl; Sasha Waltz & Guests; Trisha Brown; Pipaluk Supernova/Half Machine Copenhagen; AlexB; Mans Erlandson; Sanja Ristic/Cie Salon Sauvage; Maren Witte; Nir De Volff/TotalBrutal; Vidal Bini/KHZ and over the past several years with Margrèt-Sara Gudjónsdóttir and Mette Ingvartsen. Regularly she has been involved in artistic collaboration with the visual artists Anne Sophie Malmberg, Annika Nilsson, and others. She has been teaching workshops and classes in Improvisation & Composition and Dance Technique since 2005 and Ashtanga Yoga since 2007. Amongst other places, she has taught at Ponderosa Dance Festival, Tanzfabrik Berlin, Meg Stuart & Damaged Goods, Ekszena Zagreb, Ashtanga Studio Berlin, Eden Studios Berlin, Dansehallerne Copenhagen, Bauhaus University Weimar and University of Fine Arts Hamburg. Since 2006, Johanna has been creating works mainly in collaboration with other artists, which have been performed internationally, won prices and opened festivals: the piece Festland together with Palina Krause; the work scrawling with Kathryn Rave; the solo Tief.Schwarz. ; the short movies Stolzenhagen Princes together with the visual artists Sophie Malmberg and Annika Nilsson as well as the dance piece Dishevelled with Sonja Pregrad and the musician Neven Krajačić. Her solo dance piece Shapes of Noise and Silence has first been presented at Aabendans Roskilde (DK) in 2017. In the same year, she has been creating a choreography for Henrik Vibskovs fashion show The Five O´Clock Leg Alignment in Paris (FR) and Copenhagen (DK). Johanna lives with her family in Denmarks countryside nearby Copenhagen. Johanna began studying Ashtanga Yoga with her dear friend and teacher Andrea Lutz in 2005 and has been practicing this method intensively on a daily base ever since. Over many years, Andrea has been teaching her how to teach the Ashtanga System and Johanna has been supporting her in building up the Ashtanga Studio Berlin. Johanna has been guiding Mysore and Led classes in the Ashtanga Studio on a regular basis and also as a freelance teacher in other places since 2007. She has regularly attended workshops and Ashtanga Yoga Teachers Trainings for the Primary and Intermediate and Advanced Series with Manju Jois and Nancy Gilgoff in Berlin (GER) and has assisted them there in classes and workshops. From 2010 on she also has been practicing with Susanna Finocchi in Copenhagen (DK) and has been part of the teachers team of Astanga Yoga Copenhagen. Currently she is teaching Ashtanga within the phrame of Ashtanga Yoga Ø and continues to teach at the Ashtanga Studio Berlin as a guest teacher. Johanna is authorized by Manju Pattabhi Jois to teach traditional Ashtanga Yoga, Nadi Shodana Pranayama and Vedic Chanting. Senior teacher Nancy Gilgoff became her primary Yoga teacher over the past many years, and Johanna teaches Ashtanga Yoga as taught by Nancy today. Extracts of the article published in TANZ magazine (edition November 2010) on Johanna Chemnitz performing Margrét Sara Gudjónsdóttirs piece Soft Target. "A naked room in the Ballhaus Ost in Berlin. Four flood lights edge the dancer like in a cage. Her in stakkato blinking eyes fire back. Her feet are standing calmly on the attic floorboards. Rhythmical beats wander from the eyelids through her strong body. Her gaze bites to the fast lounge beats of Peter Rehberg. She is the caged game. On all threes, she carefully lifts one powerful paw into the space. (…) Each of her muscular steps appears animal like: strong, thoughtful, purposeful, careful. During her studies at the Dance Academy Arnhem she already learned that by mere deconstruction, bodies turn into a catastrophe. Her body tousles, as lastly in her duet Dishevelled with Sonja Pregrad. She sews together again this exposed, stage captured and choreographically fragmented body. Decisively she strains her head into the plaintiveness of the room as if to feel a wind gust of freedom. She captures the eye by letting her body begin to think. (…)"
"Nowadays, many dance festivals take place close to, but outside the European borders. Johanna Chemnitz, a choreographer from Berlin, performed at the Festival International de Danse Contemporaine de Marrakech in January. In tanzraumberlin she tells us about her impressions. We go by bus to the city, donkey carts, honking mopeds and many taxis pass us by. We then arrive in the historic city, Medina: A place, where the atmosphere changes every hour, as we will realise soon. The alleys are crowded with people, animals and in between that, vehicles. Useful and useless things pile up along the sides. Wild cats with chicken heads between teeth and claws are everywhere. Right after arriving at the hotel, we cut our way through the mesh of roads toward our first performance at the Grand Theatre Royal. We are being warmly welcomed and greeted by Bouchra Ouizguen, Taoufiq Izzediou and all the other idealists who, with an incredible vigour, create a room for contemporary dance within their culture. Their strong will and great passion for dance are clearly noticeable. What they do is absolutely pioneering. The situation of theatre and dance in Morocco becomes visible in the Theatre Royal. The building is mighty; the facades stand proudly in the middle of the city. Inside however, the theatre is in ruin and lies idle. The permission to perform in the never completed performance hall was withdrawn at the last minute. In defiance of that, On Marche… takes the room, enlivens it. In the once magnificent foyer, we perform our work scrawling, in which we are dealing directly using dance with our sensations of Marrakech and we create sketchy and imagined drawings with the body. In doing so, it involves structured improvisations and compositions that are being influenced by the dynamic, the energies and the structures of the location. We not only notice the curious reaction of the Moroccan audience during our own performance, but also whenever we were part of the audience while visiting the performances of others. The audience consists of international experts and from evening to evening a growing number of young and interested Moroccans who have never been in touch with contemporary dance before constitutes a highly dynamic mixture. Movement passes through the hall; people laugh, whisper, whistle, yell, keep silent in keen attentiveness, come in and go out. And it becomes obvious that the way the body is being dealt with in the presented performances both fascinates and at the same time embarrasses the young Moroccan audience, as it is very different from the familiar. Still, there is a great, alert curiosity and we performers are secure of animated feedback coming from a strongly intuitive connection. Every night, we eat together and talk; thoughts and contacts are being exchanged until one sinks exhausted into the pillows. Another special experience was our performance of scrawling in the ESAV, the sole film academy in the whole of Africa. Just as we began to dance on the terrace of the new building, a storm came on out of seemingly nowhere. The dance carpet made waves and the stage was about to disintegrate. Someone from the audience started to bring wooden palettes that were lying around nearby to ballast the dance carpet. Others joined in and all of a sudden, a stage decor emerged, beautiful and wild like we could have never pictured it ourselves. My flight back to Germany leaves on the next day already. One more time haggling over the price for the cab ride and a few remaining coins for coffee and croissant. In the plane I can't keep my eyes open, I wake up at Bremen Airport and Marrakesh’s impressive images, enriching experiences and warmth are still present." "How would you describe your dance piece Dishevelled? Johanna: In Dishevelled we give ourselves to a world beyond logic and we dedicate ourselves to the indefinable. The piece deals with reality, identity and dissolution. Within this process, we have also delved into failure and into the different possibilities and forms of failure: the calm and quiet failing; the intense, noisy and agitated failing and above all, the courage and lust for failing. Sonja: I would also describe it as dealing with the physical texture, which actually carries an emotional confrontation for each one of us. Through shaking, the structure falls off and maybe leaves a different shape of what is identity, be it personal, gender, social. What were the influences and motivations for this piece? Sonja: The collaboration and exchange of two and then three people sharing a language of looking at things and coming from two different areas of Europe, two cities, which in very different way support and carry in itself a great production of art and culture and dialogue. I think the motivation was a desire for confrontation in many subtle and less subtle ways. Some of the influences were the film Thelma and Louise, Egon Schiele, André Lepecki and Johanna Chemnitz. Johanna: Francis Bacon and Matthew Barney are among the influences. Other important things are the photos that came up during our rehearsals with Sophie Malmberg. The visual arts in the form of photography, painting and sculpture also had a very strong influence on our work. The workshop with Meg Stuart that I took part in this summer in Stolzenhagen also was inspiring and formative for me. And the work with Sonja of course! How were the circumstances of production in Berlin? Johanna: We were lucky to be able to rehearse in the new spaces of Dock 11 in Pankow: a huge and splendid room in an old building. The work benefited from that. The financial conditions however were difficult. Nevertheless, we made the decision to pay all participants with our small budget, as we want to avoid unpaid work by all means. What do dance and choreography mean to you? Johanna: I would describe dance and choreography as a big love of mine. And challenges, communication, passion, a lot of conflict and sometimes a lot of fear but also a lot of happiness make parts of such a strong love. Apart from that I find that dance and choreography embody a unique form of communication. I see this as a long process. Sonja: It is a call, a profession, a political attitude. I desire to work with physicality of dance, seeing what kind of text and dramaturgy it produces. What do you like about the dance scene in Berlin? Sonja: I guess I like, that there is a lot of organized experiments with a political attitude. Johanna: I really like its diversity: I wouldn't want to miss the people that operate in it and the encounters I have with them." Alle Texte sind urheberrechtlich geschützt. Die Veröffentlichung, Übernahme oder Nutzung von Texten, Bildern oder anderen Daten bedarf der schriftlichen Zustimmung von Johanna Chemnitz. Diese Website wurde mit größtmöglicher Sorgfalt zusammengestellt. Trotzdem kann keine Gewähr für die Fehlerfreiheit und Genauigkeit der enthaltenen Informationen übernommen werden. Jegliche Haftung für Schäden, die direkt oder indirekt aus der Benutzung dieser Website entstehen, wird ausgeschlossen, soweit diese nicht auf Vorsatz oder grober Fahrlässigkeit beruht. Für die Inhalte externer Links wird keine Haftung übernommen. Für den Inhalt der verlinkten Seiten sind ausschließlich deren Betreiber verantwortlich.